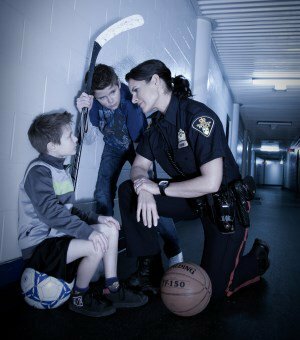 The Saskatoon Police Service’s School Resource Officer program provides valuable resources to the Saskatoon Public School Board, Greater Saskatoon Catholic School Board, and Conseil des Ecoles Fransaskoises. The School Resource Unit consists of 7 Constables and 1 Sergeant. These officers are assigned to assist in over 100 of Saskatoon’s primary and secondary schools. They also provide support to Saskatoon’s post-secondary institutions. Collaborate with community partners as part of the Community Threat Assessment Team regarding incidents related to Violent Threat Risk Prevention. Police officers and students team up and interact in a sport event of their choosing. This creates an opportunity to enhance positive police interaction with youth outside of the role of traditional law enforcement. The Youth Police Academy is a one day event that has been created to help inform and educate youth on what it is like to be a Police Officer. The Youth Police Academy is open to Grade 12 students from Saskatoon and surrounding area who are interested in a career with law enforcement. In 2011, the Saskatoon Police Service made a commitment to support a model developed by the Canadian Centre for Threat Assessment and Trauma Response: Violence Threat Risk Assessment (VTRA). The model was designed to help agencies and professionals develop collaborative multidisciplinary teams that focus on early intervention, prevention of violence through high-risk assessments, and provision of ongoing support for the individuals using VTRA. This process allows our community partners to share information about the circumstances of individuals who pose a significant risk to themselves or others. The shared goal of this model is to support safer schools and communities. This is an accredited eight-week police study program hosted by Saskatoon Police Service and is available to grade 11 and 12 students from Mount Royal Collegiate, Bedford Road Collegiate and E.D. Feehan High School. Increased mentorship and role modeling. In 2013, Saskatoon Police Service launched A Safer You, A Safer Me. This is a positive ticketing campaign which primarily focuses on school zone safety. Saskatoon Police Service collaborated with students to create messaging, directed at motorists, reminding them to be more mindful, respectful, and lawful while driving through school zones. Pedestrian and student safety, particularly in designated school zones throughout the City of Saskatoon, is an ongoing concern throughout the school year. 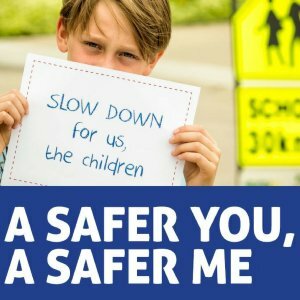 Every year, the school divisions voice concerns over vehicle traffic and the risks to their student population in these areas. Due to increased congestion and parking issues around schools throughout Saskatoon, the City of Saskatoon in partnership with the school boards has been developing solutions to combat these growing concerns. The “Kiss and Ride Program” was launched in 2014 as a safety initiative at Silverspring School. The program identified a designated zone for the drop-off and pick-up of students. As a result, the designated zone keeps the flow of traffic moving, reduces congestion and increases the ability of pedestrians and drivers to see one another. Pro-active initiatives regarding traffic safety is something the Saskatoon Police Service feels needs to be done continually to try and avoid serious injury or death to our youth. As a result, the Kiss and Ride Program is expanding within school zones across Saskatoon. The Drug Awareness and Healthy Lifestyle Days started in 2008 as a multiagency collaborative effort to assist with the education youth, while encouraging healthy lifestyle choices. Held every November, the Drug Awareness and Healthy Lifestyles Days is a two day event that educates Grade 7 students from Saskatoon and area about the effects of drugs and alcohol, and the importance of making good choices. Topics include the consequences of illegal drug use, impaired driving, responsible use of social media, and mental health awareness. Silhouettes for Safety is a program initiated by the Saskatoon Police Service and sponsored by SGI to remind drivers to slow down in school zones. It features metal speed zone signs placed strategically in school zones, right in the center lane of traffic where drivers can't miss them. The signs are placed at each end of the school zone by a school official at the beginning of the school day and removed again at the end of the day. 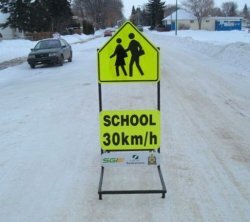 This project addresses the issue of speed management, where Saskatoon drivers fail to identify school zones and adjust their speed accordingly. These drivers are not only committing a speed violation, they are also decreasing the safety of the students, parents, teachers and citizens that are using these school zones.